Happy holidays! I'm Sandy with Sweet Integrations. This is a perfect time of the year to study different countries. 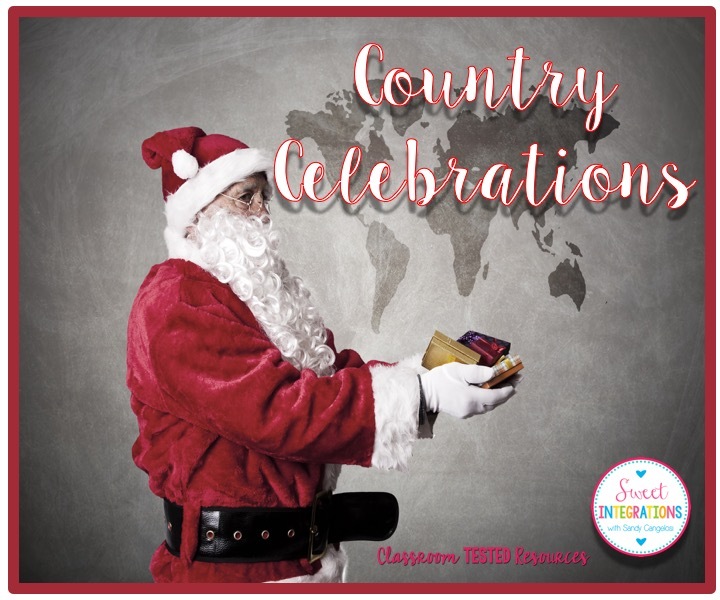 Countries all over the world have different celebrations according to their culture. Because we have so many students in the United States from other countries, we want to respect and recognize traditions of their heritage. So, why not host a holiday tea celebrating countries all over the world? 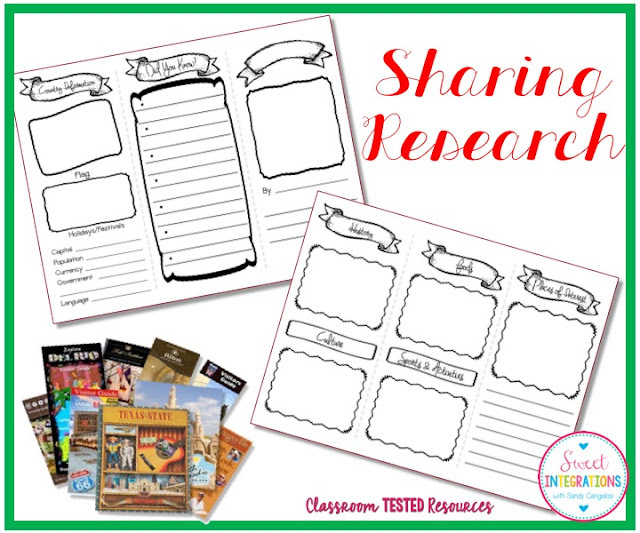 Students can select a country to research and invite parents or other classes to the tea and share what they've learned about these countries. In my examples below, I'm focusing on Mexico. I live in Austin and we have a huge hispanic population. And, I love the culture, foods, and traditions of Mexico. 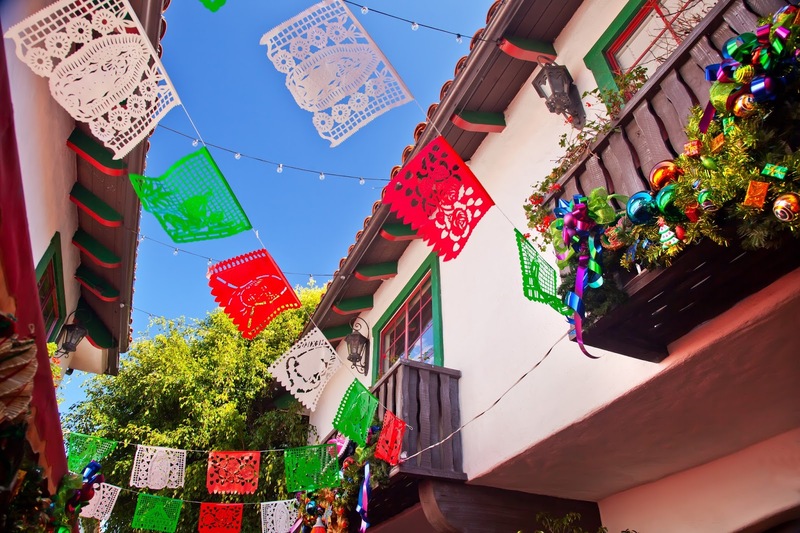 Christmas in Mexico is celebrated from December 12 through January 6. Beginning on December 16, children perform the Posada or procession. Posada means inn or lodging in Spanish. There are nine Posadas which depict Mary and Joseph looking for a place to stay. Homes are decorated outside each night with lanterns and evergreen garlands. Children carry candles and sing carols as they process through the street. 1. Allow students to select a country of their choice. Some students may want to work in pairs if they select the same country. It really doesn't matter as long as the assignment is completed. Students will research basic facts about the country. I provide websites for students so they know exactly where to go to find their information. 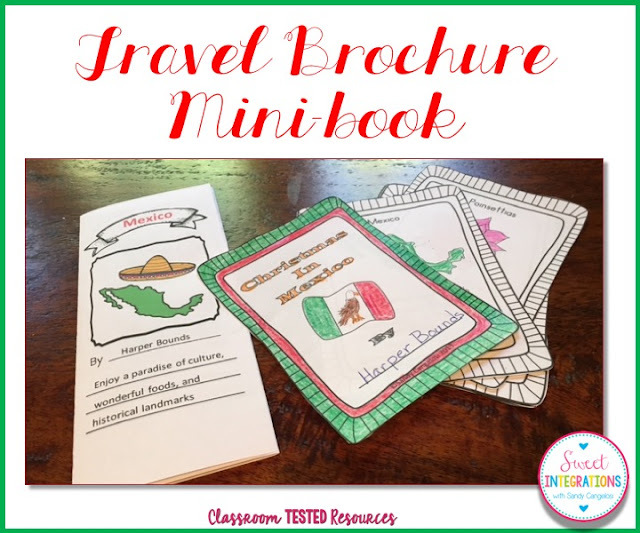 - Students can create a travel brochure to share or a mini-book about their country. These will include the information found during their research. 2. 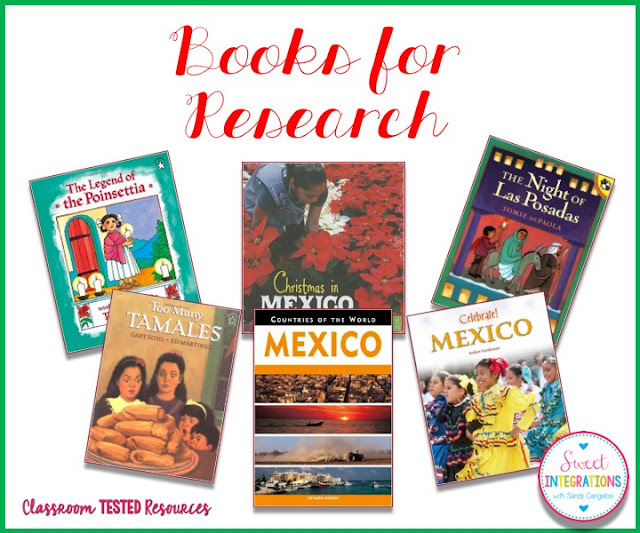 Provide books about the country which include legends, celebrations and culture. Students can select one of the cultural traditions or festivals they would like to share with parents or classmates. 3. Students can select a craft to make that represents the country. 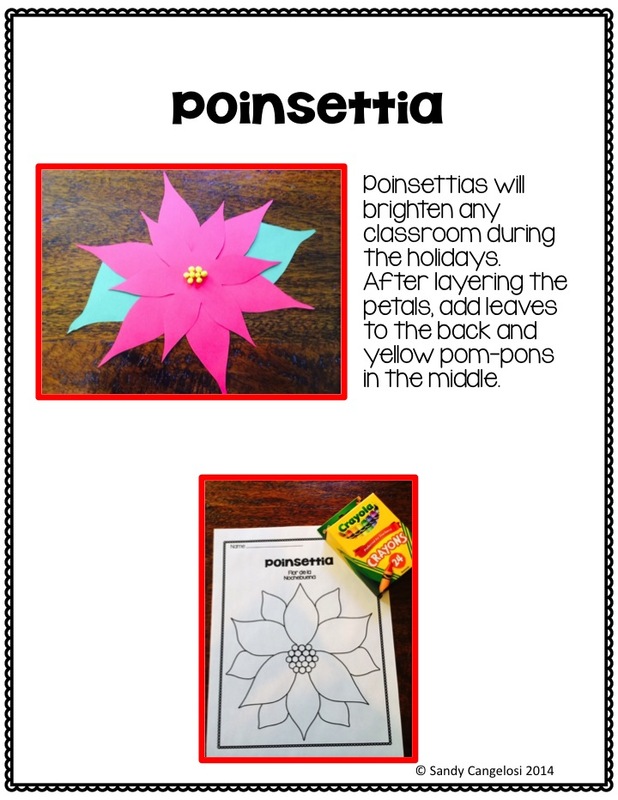 In Mexico, the pinata, cut paper garlands and paper poinsettias are popular. 4. Share a taste of the country. There are so many delicacies in Mexico. During Christmas, Mexican bakeries are busy baking cookies, decorative breads and cakes. Students can purchase desserts or pastries or make them by themselves. These can be shared with tea or hot chocolate during the celebration. 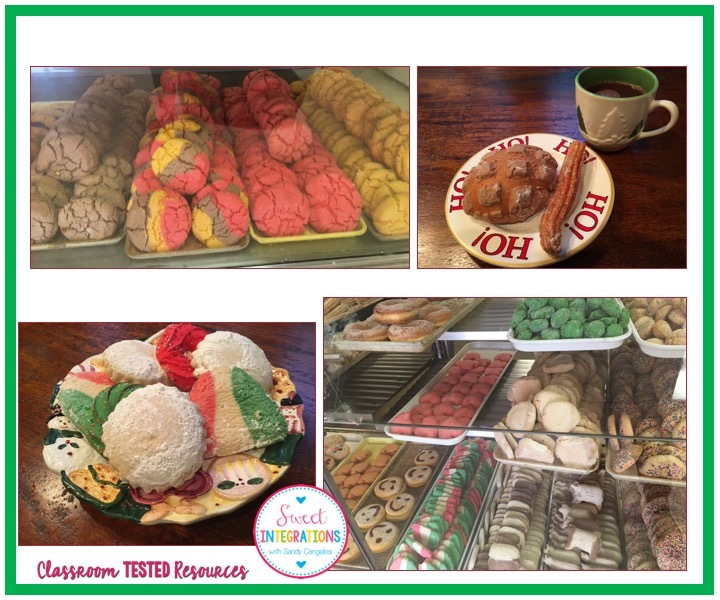 Tip: If students visit a bakery or restaurant, suggest that they interview the manager or owner to learn more about the foods and culture of the country. Students can even interview a parent who is native to the country being researched. To access products that I used for this post, please click HERE. I love this! I'm pinning it for next year! !